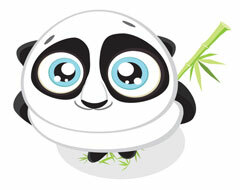 I've covered several Google Panda stories in the past. And now that we are over 20 months into Panda with 21 different updates to Panda, it is not uncommon to see sites recover. But in one case, one webmaster, simply cannot recover. A Google Webmaster Help thread has one such story. It starts off as "almost 2 years of full-time work could not save a popular car reviews site from the Panda algorithm." 1. The quality of the writing and moderation was variable, as is often the case with forums/user generated content sites. 2. The custom CMS made no sensible attempt to deal with thin content such as very short reviews. 3. The ad layout was too heavy, and also slightly unconventional (ads on both sides of the page). 4. The lack of threaded comments had resulted in duplicate content issues, due to people quoting previous comments in their replies. 5. There were a lot of thin navigation pages, as there were several alternative ways to navigate the site. 6. The look and feel of the site was quite dated. Then he lists out 18 large things he tried over the past 20 months to recover from Panda and he said non of them helped. It is an interesting story with a lot of transparency that many can learn from. You can read the whole thing at the Google Webmaster Help thread.